Just before COP-15 took place in Copenhagen in December 2009, unknow people broke into the computers of the Climate Research Unit (CRU) at the University of East Anglia and stole email correspondence of Prof. Jones, a major figure in the IPCC. 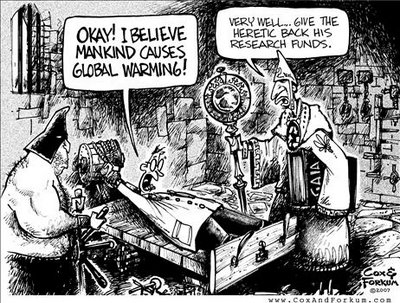 The issue received wide media coverage and was eventually referred to as Climategate. The story also started a flood on criticism of IPCC. To large extent, the criticism is fed by accumulated resentment about the bad manners of some leading climatologists and the quasi-religeous status confrerred to the Assessment Reports, certainly also including inputs from the anti-mitigation lobbies, the oil and and coal industry. In fact, there is some evidence that some secret services may have been behind the whole issue. I don’t deny that some climatologists now behave as the “kings of the ring”; some of them tend to forget that their business is science – not politics (I also mentioned this in one of the introductory paragraphs in the great projects ” post). Jacques sent me a set of interesting articles from Le Monde (which I collected in a pdf that can be accessed here: controverses_diverses_IPCC_copenhagen_20091209_le-monde). If you go to the website of Le Monde you will also find an audio file with an interview of Gil Mahé, a well know hydrologist, who blames part of the problem on the fact that climate data (i.e. real unprocessed station data) are difficult to get at, for a number of reasons, mainly the fact that national meteorological services want to sell them (See footnote). It is difficult to say how the increased demand for climate data (Changnon & Changnon, 2010) will eventually impact the trade… On one hand, Meteorological Services will use it to generate more income, but on the other hand, they may improve the quality and coverage of their networks to meet demand. This would be positive. The result of the difficulty to access data is twofold: lack of transparency of many published climatological analyses – which does not improve the air of suspicion that surrounds some climatological analyses – , and also greater uncertainty than technically feasible in some analyses (see an example in the footnote). Just in case someone wants to misinterpret me: I do believe that we humans contribute to modifying climate variability patterns, but I dislike climate mysticism and I don’t believe in the infallibility of the climate sacerdotes magni. The issue of non-public data does not apply only to meteorological services. Several times I have come across graphs published by insurance companies about climatic risk, but I was denied access to the original data by the authors. This applies, in particular, to much work done by insurance companies. The justification is always either “confidentiality” or the risk of giving away info to competitors. On 13 Nov. 2003 the FAO agrometeorology Group sent requests to the FAO/WMO AGROMET-L and to CLIMLIST ask for help to locate average monthly station (point) Penman-Monteith data to be included in the new version of LocClim http://www.fao.org/sd/2002/EN1203a_en.htm. All replies we received except one offered gridded data. Each of them got an answer repeating what we said in the announcement, i.e. “we specifically exclude any data from global or local grids (Interpolated data and area-wide ones). We need real station data, with geographic coordinates and altitude”. Another example: earlier this year, I requested a friend in an African Meteorological Service to provide me actual rainfall data for some stations. He sent me data extracted from a popular 10-daily African rainfall grid produced in the US based on GTS data. This is not the place to discuss the complex differences between point data and pixel values, but I find it amazing that even national agrometeorological services use “highly imaginative” data rather than their own station information. I think this raises a very serious issue: many people no longer work with real data. Instead, they use a number of gridded average and “real-time” datasets around, often interpolated with unspecified methods and very large cell sizes. Maybe part of the problem is that meteorological services want money for their data, which leads many users, even at the national level (e.g. agronomic research) to resort to easily accessible grids, avoiding costs and administrative work. 10 years ago, the operational agrometeorologist had a real technical problem because there were no good tools available to spatially interpolate data. This issue was addressed from many sides; today gridding is no longer a serious problem in operational agrometeorology for most variables. Unfortunately, the result is that the perceived need for good data has decreased, as everything is somehow available as grids. We have replaced a real problem associated with the lack of ground data with a data processing problem, which is much easier to solve. We have somehow traded data for colour pictures. There is just no way to make proper weather impact assessments (and this is actually what agrometeorology is about) without adequate data. We have to do something about it. I concluded by saying : Any suggestions? Selling climatic data is a wrong approach, as (1) there is very little demand for (and money in) individual data items, say, 21st December rainfall in Ferkessedougou and (2) there is more money in value-adding (analyses) that in raw data. Unfortunately, many meteorological services are far better at collecting data than using them! Finally (3) meteorological services tend to charge completely unrealistic amounts for data. For instance, while we were involved in a climate change impact study in Morocco (downloadable from here), I tried to add some Algerian data to improve impact assessments in eastern Morocco. For one station with 30 years of daily data (rainfall, maximum and minimum temperatures), we were asked 20,000 US$… which we could not afford. Très bon site, et très bon article! I just wanted to put into perspective that sometimes raw data are not so crucial in agrometeorology and everything depend on the scale. Many scientists and other less scientific people argue that we need technology, access to food, etc. if we want to adapt to climate change. But….We need oil to adapt! I remember some years ago that Saudi Arabia grew wheat in the desert thanks to oil. Cela rappelle le paradoxe de Rémy de Gourmont: Toutes les idées générales sont fausses; et ceci est une idée générale! Comme la recherche, la politique, les institutions sont humaines: on retrouve les mêmes problèmes dans tous les domaines. Peu après le premier choc pétrolier de 1973, dont on semble avoir tiré si peu de leçons, je me souviens avoir lu un entretien avec un expert du pétrole. En substance il disait qu’ils étaient à peu près 200 dans le monde à faire des estimations. Ils avaient des formations à peu près identiques quelle que soit leur nationalité. Le coût de se tromper si on défendait une opinion divergente était énorme, perte de réputation… par contre si on se trompait avec les autres il n’y avait aucun coût à se tromper ensemble, car de toute façon il n’y avait pas d’autre choix que de faire appel à eux. D’ailleurs, à une toute petite échelle, j’ai connu ce problème avec le sida puisque je soulignais qu’il y avait une autre approche que médicale, liée au développement, mais cela n’intéressait (n’intéresse) personne! Le problème est dans le reflexe de troupeau, e.g. Les rats de Hamelin, les moutons de Panurge. Dans tous les domaines et à tous les niveaux! Hmmm, I have a comment regarding the statement about the first oil shock (1973 oil crisis). At least one country understood very well that, if oil is a weapon, food is too! Indeed, Riad, indeed… tutiempo is a great site that has saved the day of more than one student writing a thesis far from home or of an operationnal agrometeorologist who could not access official data. Unfortunately, the problems of tutiempo are the same as those of the GTS (http://www.wmo.ch/pages/prog/www/TEM/GTS/index_en.html), i.e. gaps and data that were not verified… One of the good things meteorological/climatological services do is to check the data, update them when necessary, etc. I also agree that formatting, quality-checking and storing data is very useful… but I doubt it’s worth the amount some meteorological services ask from their customers, several times if the same data are requested more than once! I really love agrometeorology as it relies a lot on our intelligence more than on observed data. 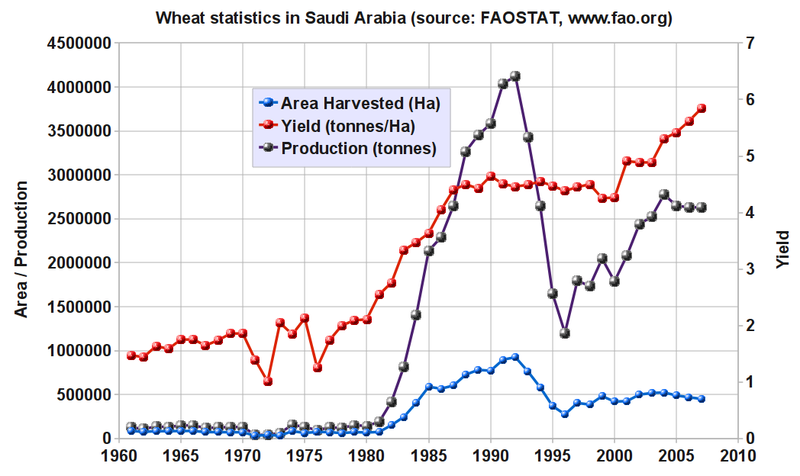 I explain, during my PhD studies I was trying to link NDVI images with wheat yields in Morocco. A student in the university who was a “remote sensing technician” asked me how I can use image of 1km square pixels when wheat is grown in smaller plots than 1km, meaning that maybe I play with signals related to other crops? I answered to him using agronomic intelligence, ie. when vegetation of all other crops is green that’s mean that wheat is also healthy! I mean, in that case NDVI is just an indicator of the environment surrounding wheat, I don’t care if it capture wheat greeness or not. In agrometeorology, this is the case in many null hypothesis. An other example : during an experiment on no-till system, An economist “expert” from an international organization came to visit and “control” reliability of our experimental designs. We then presented to him our on-farm trial experiment on wheat, but he asked for the check! We tried to explained to him that we don’t need any check, as all surrounding fields are cultivated in a traditionnal way, ie. using conventional tillage. Unfortunately, he was very angry as he wanted to see a check because it is the way he learnt statistics!! When imagination cannot save us, curiosity can sometimes be very helpfull. In the particular case of climatic data availability you talk about, the Web is fantastic. I experienced that also during my PhD studies when I had to use raw climatic data to run AMS, which is an FAO water balance model. Of course I also experienced the fact that my national meteorological administration wanted to sell me data. As my student budget was limited, I search like a crazy guy for data in the Web. What was my surprise to find really raw data for free!!!! I invite all agrometeorologist to have a look at http://www.tutiempo.net. What I mean, it’s our duty also to organize our defensive strategy, making free available data as much as possible on the Web.